This is the #8th set of PHP Interview to help aspiring PHP developers and PHP fans alike to get inspired by listening from those PHP guys who are already highly involved into the PHP Ocean and being ‘there’ taming the waves and surfing better than ever to make themselves an Awesome PHP Expert both in their own eyes (for self-accomplishment) and for the PHP Community. On the other side, this is an opportunity for new PHPers to get to know their “PHP Elders“. I hope you will derive as much fun to read my interviews as I’m having by interviewing those A-List PHP guys. I started as PHP developer in 2005, since then there is no looking back. In last 6+ year I have done various sizes of projects in PHP. Along the way i organized biggest un-conference for Indian PHP developers in 2008, started PHPCamp.net as the goto place for finding latest articles to read for PHP developers with hopes that bloggers will share there own articles. Started my own venture (AmiWorks) in 2009, and released Magazinify in 2010. I am currently focused in creating website in WordPress. I occasionally write on my blog about new things that I learn or find useful. It is a good story, after I graduated from college I started a two person company along with my friend with aim to build a hardware company, we did three local projects before we went bankrupt. So we joined another service company, they were doing lots outsourced PHP and other works. After waiting for two months for them to start an embedded project I simply switched to their PHP team as they need more developers and I was getting bored to death waiting. I learned PHP from them, and since then there is no turning back. The overall ecosystem has matured. In those days i used to visit phpclasses.org a lot to get new libraries, there were no mature frameworks. Now we have a frameworks for everyone 🙂 and they have there own set of libraries. I think since I started using CI (CodeIgniter), I never visited phpclasses even once. The best part about PHP is that any one can easily learn and use it. This ease of use is also it’s bad part, which resulted in lot’s of bad/spaghetti code. Pick a PHP framework according to your taste as soon as possible. If your having hard time deciding then use CodeIgniter. I never actually read any books other then PHP manual, if you count it as book. In my early days I had bought a book on PHP5 but could never finish it. Most of my learning is by reading various tutorials and blogs which were selected based on problem that I needed to solve. 10) Your LAMP stack comprises..
11) How do you debug your PHP code, do you use something like xdebug or krumo, etc..? I have used xdebug a bit, it is tedious to use. I find echo/print_r as the best debugging tool for small amount of PHP that I write. It is very difficult to give you one name, there are many who have constantly done good work in running important pillars of the community like Manuel Lemos (@manuellemos) who runs PHPClasses.org or Chris Cornutt (@enygma) for running and curating PHPDeveloper.org (@phpdeveloper). The one I appreciate the most is tcpdf (@TCPDF). If tcpdf did not exists I would have never thought of building magazinify. I think the best palace is to follow PHP developers on twitter. It is the easiest and most fun place to connect with others. 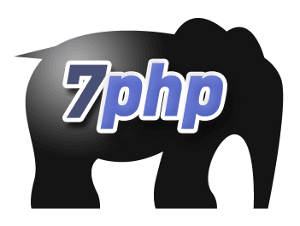 You can follow my php self (@onlyphp) on twitter. “Which is the best PHP framework?” this debate in PHP community is never going to end. PHP ecosystem has matured. I think in next 5 years it will be more about frameworks and CMS built on top of PHP then PHP itself. Better late than never, even they have realized that most widely used CMS, and other web applications are all written in PHP and unless they support them on IIS, they will loose market share. 21) If you had to go back in time, would you still choose PHP? Yes, I think choosing PHP was one of the best career decision i made. 22) How many hours you spend coding on average per day? A year back i used to do 6-7 hours of coding on an average, but now it is almost zero as i am focusing on the business side of things in my company. In 2008 I had started following various PHP conferences that were happening around the world, I wanted to attend at least one PHP related event but there was not a single one in India. During those days barcamp was the most active event in Pune and since i knew the organizers of barcamp i asked them to help me in organizing a barcamp styled event focused on PHP, they agreed and phpcamp.org was born. It was a massive hit, and became one of the biggest tech event in Pune. In following months after the event i started PHPCamp.net to fill another gap, by providing a platform to bloggers who write about PHP related articles, to share them easily to wider PHP community. 24) You are also a wordpress expert – how do you find working/developing with wordpress. Is it easy to catch on? Working on WordPress has been pleasure in most parts. For an average PHP developer it is easier to learn coding for WordPress then say Joomla or Drupal. Read http://wordpress.stackexchange.com/questions/715/objective-best-practices-for-plugin-development and keep in mind when developing your next plugin. Again, I have not read any WordPress related books, I mostly read various blogs and WordPress Codex. 27) You believe much in the concept “dream and experiment”. How do you implement that in your PHP projects. To what extent do you “experiment” as far as AmiWorks and PHP are concerned? 28) The day you realised “You’ve made it to the A-List PHP arena” ? Nope, I have not yet made it into A-List, when I will make it I will let you know. Thanks Khayrattee (@7php), for giving me a chance to tell my story to the wide PHP Community, and remember experiments never fail. Congrats! i know about your site PHPCamp.net more than three years. Always i got lot of information. This interview is really awesome. I had met you in the Indiblogger Meet. Now got to know more about you. You are a Motivation behind PHP hats off to you Sir. I will surely learn and practice PHP. This is really inspiring. Thanks for all those useful resources you provided in the interview. PHP and wordpress is also now a career opening for me. I am a beginner PHP web developer (learning & dreaming to build a career in web development) passionate blogger (which fulfill my hunger to get introduced with new technical skills and keep me updated about web technology). Your above interview is the best guide for me which shows the right path to grow my professional life. Great interview….thanks for sharing …it is very useful especial for beginners.